With Valentine's Day just a few days away, I've put together a delicious, special meal for you your favorite people. Going out to dinner on holidays can be a nightmare with expensive pre fixe menus and crowds and making reservations. That's just not my scene, especially when I'm often a little disappointed at what I can eat at a restaurant. Sometimes I feel like I could make something yummier and less expensive at home, haha. This meal is the perfect example of that- incredibly rich and delicious, cheaper than you'd get in a restaurant, and no reservations necessary! Make the cupcakes and the honey simple syrup for the cocktails the day before. 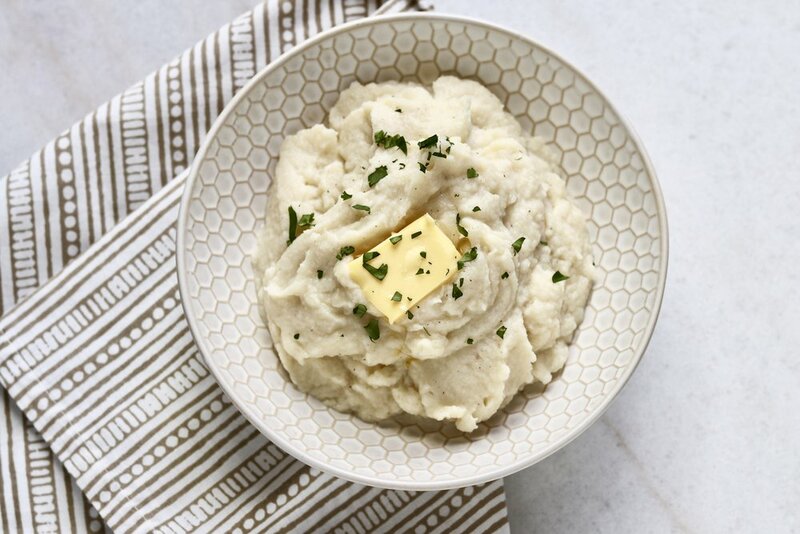 You can also make the Garlic Mashed Cauliflower the day before as well if you really want to save time the day of, then just reheat it when it's time to eat. 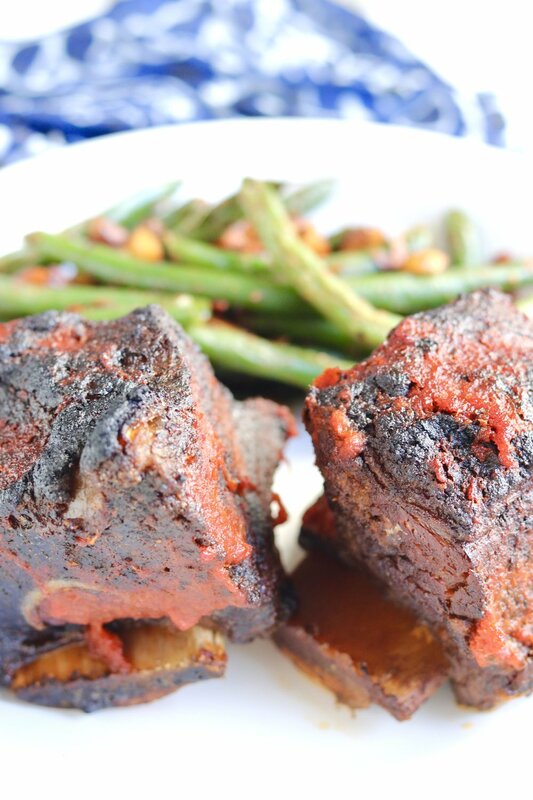 The next morning, put the Slowcooker BBQ Short Ribs in the crockpot so they'll be perfect at dinner time. When it's time to eat, put together the Fancy Brussels Sprouts, cauliflower, and broil the short ribs. 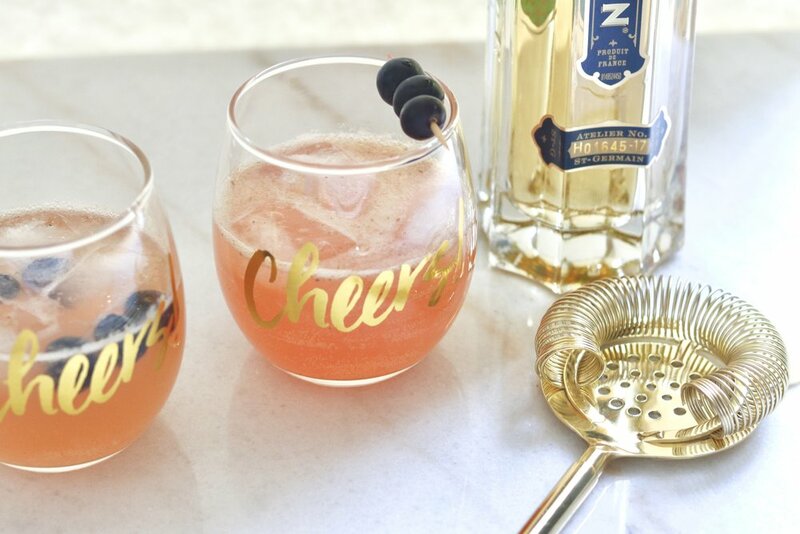 Last but not least, make cocktails (or have your lover make them) or just call it a day and pour a glass of wine! To make it extra special, instead of serving it family-style, plate it like they would in a restaurant- a dab of cauliflower puree with a short rib on top, a drizzle of sauce, and a side of brussels sprouts. It's a feast for the eyes and the belly. I hope you love this meal, and sharing it with your favorite people. Don't forget to Pin this for later by clicking the image below. You can always use it for an anniversary or birthday, or to impress some new in-laws.